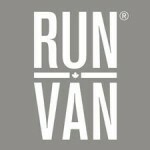 If you’d like to further support our non-profit, please consider purchasing new RUNVAN® Merchandise available for pickup at our next event, the First Half Marathon. Your support help us with various initiatives including assisting elite athletes, youth, and those who may face financial barriers to participation in the sport. Don’t forget your race bib is also good for a Stanley Park Beer at Mahony & Sons. Rackets & Runners also provided you with a $20 gift card that may be redeemed on New Balance gear. For each card redeemed, Rackets & Runners will donate two pounds of food to the Greater Vancouver Food Bank. Thanks as well for participating in the Community Challenge presented by Chevron. View more race bonuses.